DARBAR SAHIB KARTARPUR, Narowal:- Pakistan will receive a hefty $1 billion foreign direct investment from the World Sikh community. This was announced by the sikh leaders, who had gathered here from around the globe, to celebrate 500th birthday of the second Sikh guru — Guru Angad Dev. 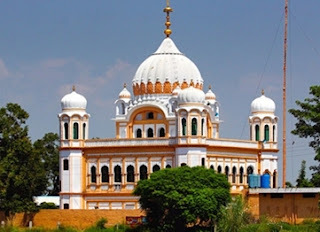 The function was held at Darbar Sahib Kartarpur, located just three kilometres from the Pakistan-India International border in Shakargarh tehsil of Narowal district. The village Kartarpur was founded by Baba Guru Nanik Dev, where he practised sikh religion for 17 years before he passed away. He announced the completion of sikh religion here. The speakers at the function, held to celebrate 500 years of the second Sikh guru — Guru Angad Dev, who formally completed the language of Gurmakhi script. Dr Pritpal Singh, coordinator of American Gurdwara Parbandhak Committee, unveiled the software and standardised keyboard of the Gurmakhi script. The sikh leaders also announced to establish a state-of-the-art medical college at Nankana Sahib in Sheikhupura.